A library page is an entry-level position that might be part time or paid hourly. In Buckley, Washington, for example, library pages make between $10.53 and $14.15 per hour. The Bureau of Labor Statistics cites the median wage for library assistants -- the closest BLS job description to pages -- as $11.27 an hour as of May 2012. 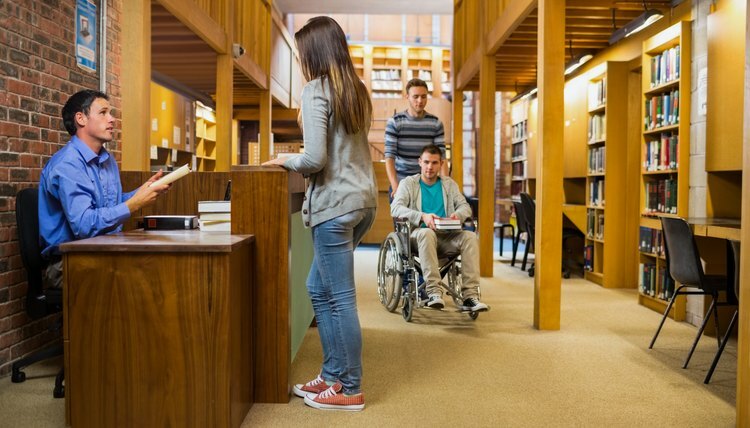 Instead of pay, some libraries, such as the Winter Park Public Library in Florida, recruit teens to volunteer as pages to satisfy school public service requirements. The job demands a commitment to orderliness, a basic knowledge of the Dewey Decimal System, and basic technological knowledge of copiers, computers and similar devices. Library pages help to stock the library shelves, and this includes reviewing shelves to ensure no books are out of place. When a library changes its shelving system or decides to move one section, library pages help move the books to their new location. Pages may also help patrons locate books and look up in-stock materials on the library's computer. Pages don't typically perform heavy housekeeping duties, but they do help to keep the library tidy. This includes locating misplaced books, restocking magazines and DVDs left on tables, throwing away trash and keeping library supplies such as pens and papers well-stocked. Pages may also be charged with checking library equipment to ensure it works and notifying maintenance staffers when a computer or other device breaks. Pages, like most library staffers, need to help patrons, and this duty demands good interpersonal skills. Pages may help patrons find books, offer directions on how to use the library or its computers, and answer basic questions about library operations. They may offer book recommendations or reading tips, and may help students in summer reading programs and similar educational undertakings. Pages may spend time at the circulation desk, either under the supervision of a librarian or by filling in for a librarian who's busy. Working at the circulation desk requires pages to check out books, check them back in, check books for damage, sort books according to where they are shelved, and determine which books need repairs and which need to be reshelved. Library technicians and assistants earned a median annual salary of $28,950 in 2016, according to the U.S. Bureau of Labor Statistics. 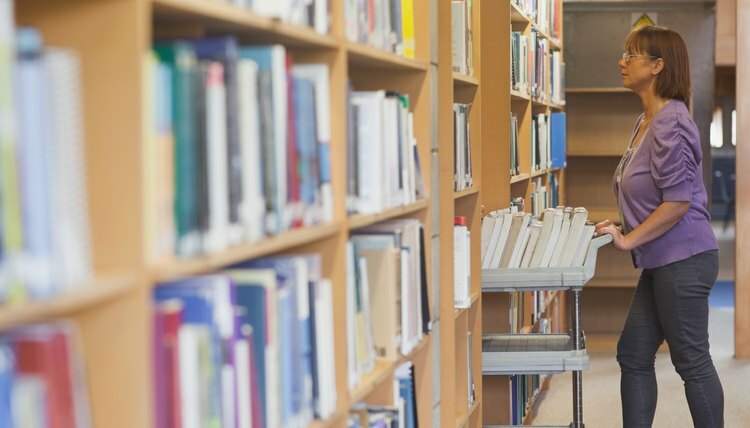 On the low end, library technicians and assistants earned a 25th percentile salary of $22,430, meaning 75 percent earned more than this amount. The 75th percentile salary is $37,550, meaning 25 percent earn more. In 2016, 203,500 people were employed in the U.S. as library technicians and assistants. Thompson, Van. "Job Description for a Library Page." , https://careertrend.com/how-4926505-job-description-library.html. 05 July 2017.